Whether you are planning a cocktail reception, intimate gathering or banquet, formal or informal, we have the perfect fit for you. Our experienced event and catering teams are excited to create unforgetable moments for you and your guests. 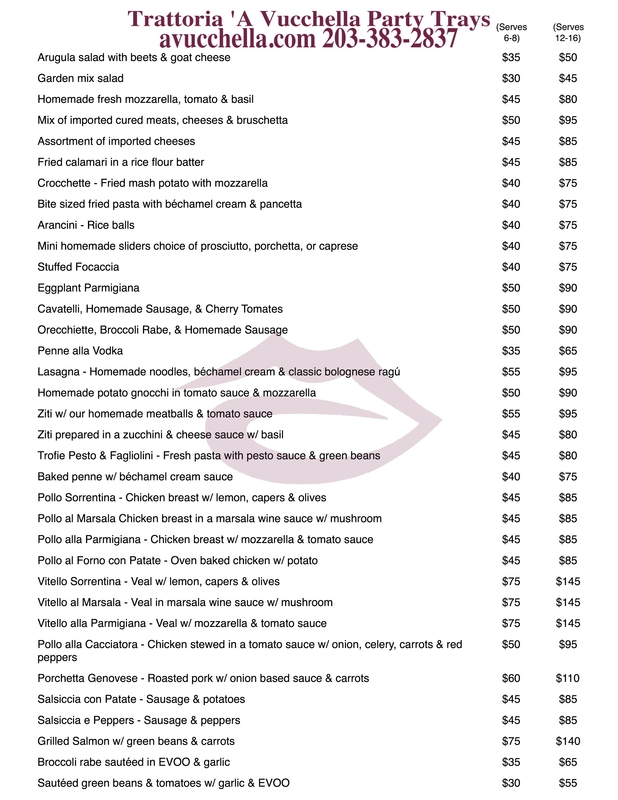 We are devoted to customize your wishes with our authentic Italian recipes. We offer menu selections from party trays that may be picked up or delivered as well as private dinners at our location or we are available to come to you. Take a peek at our sample menus to kick start your taste buds. Keep in mind that we can tailor your menu to your needs.